We first came across Picture This when previewing their appearance at SXSW 2017. They were part of the strong, annual Irish contingent to Austin, chatting to Carrie and appearing at the full Irish breakfast showcase at B.D. Riley’s. A lot has happened to the duo since. 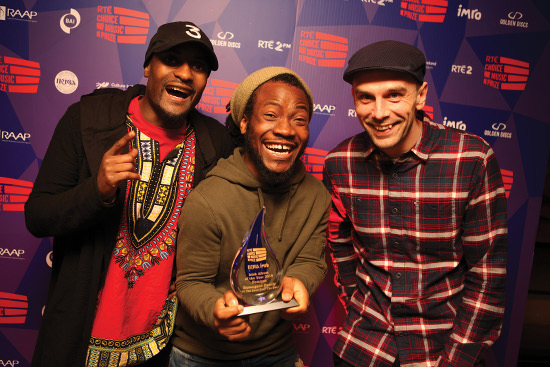 That year, they won an RTE Choice Music Prize award for Best Song for ‘Take My Hand’ and released their self-titled album that August. Next month, Picture This will be releasing their sophomore effort on Republic Records. ‘MDRN LV’, presumably pronounced ‘modern love’ but offered up in a more textspeak friendly format, will drop on the 15th of February, rather conveniently timed to be an appropriate post-Valentine’s gift, or perhaps a preorder ahead of Cupid’s big day. ‘One Drink’, the first single taken from the upcoming LP, has already made its mark on both the American Alternative and Hot Adult Contemporary charts. (For another taster, check out the promo for Everything or Nothing’.) With its inherent catchiness, it’s not hard to see or hear why. Last month while I was in hibernation, they revealed a live performance of the song, which I’ve wanted to share for a few weeks. For good measure, I am also including below the original promo video for the song, so completists can compare and contrast the two versions. Watch, enjoy and share how you like. They’re scheduled to go on tour on the Continent in early March, after which they will head to the UK for a string of shows. Following 5 nights (yes, really) at the 3Arena in Dublin at the end of March, the duo and their backing band will then embark on their first major North American tour in mid-April, which starts in Toronto on the 22nd; the tour concludes on the other side of the continent on the 18th of May in Seattle. For all of our past coverage here on TGTF on Picture This, use this link. 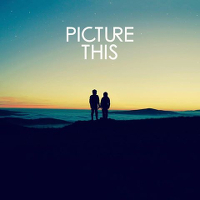 Irish pop/rock duo Picture This will play a run of live dates in the UK and Ireland this autumn, in support of their debut self-titled LP, released on the 25th of August via Republic Records/Universal. (You can read our review of the album that posted yesterday here.) The tour will open in Belfast and include a stop at London Shepherd’s Bush Empire, before closing with back-to-back shows in Dublin and Killarney. Tickets for the following shows are available now. TGTF’s past coverage of Picture This, including a live review from SXSW 2017, is right through here. Irish rockers Ryan Hennessy and Jimmy Rainsford, known collectively as Picture This, showed up in Austin for SXSW 2017 earlier this year with an undeniable swagger about them. Their confidence bordered on cockiness when I interviewed them on-site early in the week. Their brash performance at the Thursday afternoon Full Irish Breakfast only solidified their aura of complete self-assurance. Following a successful string of singles and an EP release, Hennessy and Rainsford had just completed the recording of their debut LP when I met with them in Austin. They chose to make the self-titled album at Nashville’s Blackbird Studios, with veteran producer Jacquire King (Foy Vance, James Bay) at the helm. Nashville was an inspired choice of venue for the Irish duo, and as it turns out, King’s deft production is a large part of what makes ‘Picture This’ a compelling listen. Lyrically, the songs on ‘Picture This’ are a bit predictable and formulaic, but the warm, acoustic-based musical arrangements and the momentum of Rainsford’s driving rhythms save them from being overly trite. Hennessy’s lead vocals are stunning stunning throughout, even when his lyrics are slightly awkward, and his gentle Irish lilt is undeniably seductive, though perhaps exotic only to my own American ear. “Take my hand / and we can go walking / and we can talk about whatever is on your mind”, Hennessy invites in the album’s opening track ‘Take My Hand’. The song’s acoustic guitar backing grows into a sweeping chorus with the addition of Rainsford’s pounding drums, and the narrative love story plays out like the plot line of a saccharine film romance, with the protagonist declaring, “I’m no longer scared of your older brother / he said ‘we’re cool man, I know you love her’”. The remainder of the 13-track album unfolds in largely similar fashion, with most of the songs expanding upon the tried-and-true themes of reckless love and youthful abandon. ‘You & I’ and ‘Let’s Be Young’ pack the same forceful punch on the record as they did in live performance at SXSW. Early single ‘Everything I Need’ further raises the bar with a heart-racing tempo and bright piano melody in the backing arrangement. Hennessy tries his hand at an intimate ballad in ‘Jane’, where his graceful falsetto makes up for the rather weak chorus lyrics: “you make me feel / that love is real / so pick me up / I wanna lay you down”. His evocative vocal delivery is more effective later in the album on ‘Smell Like Him’, where he exquisitely captures the poignant sense of jealousy in the line “I don’t want you to be happy if you’re not happy with me.” Recent single ’95’ is another sweet ballad with a shuffling rhythm and a gentle piano melody behind charmingly innocent lyrics about being in love for the first time. That charming effect is unfortunately ruined in the chorus, where even Hennessy’s beautiful singing can’t save the lines “I ran down to the square / and I held back her hair / as she threw up everywhere”. Pop contemporary Ed Sheeran recently employed a similarly inelegant lyric in ‘Castle on the Hill’, ruining an otherwise lovely verse. Can we all just agree that there’s nothing romantic about vomit? The aforementioned Ed Sheeran comparison will undoubtedly surface again for Picture This as their album begins to circulate. Its anthemic pop style is sure to appeal to young audiences looking for easily digestible, radio-friendly hits. Though mainstream pop gets a bad rap among jaded music snobs, new listeners could easily do worse. Jacquire King’s strong production aesthetic lends the album a nice sense of depth, in comparison to the recent trend of production-by-committee pop albums, and he clearly had no need to employ gratuitous studio trickery to make this music palatable. Hennessy and Rainsford are genuinely talented artists, and their emotional content is both universally relatable and undeniably authentic. Crisp, concise and brimming with confidence, ‘Picture This’ is primed to break its namesake band onto the scene in America and worldwide. The self-titled debut LP ‘Picture This’ is due for release tomorrow, Friday, the 25th of August, on Republic / Universal Records . In support of the album, Picture This will play a headline tour of North America in September, followed by a list of live dates in the UK and Ireland; you can find the details on their official Facebook. TGTF’s full past coverage of Picture This can be found back here. The Tuesday morning of SXSW 2017 found me out the door early, headed across the Colorado River to the Hyatt Regency Boat Dock, which the launching point for the Output Belfast Boat Party. The Boat Party, a collaborative event among several agencies including Generator NI and the Belfast City Council, is quickly becoming a Convergence tradition at SXSW, popular among attendees from across the Interactive, Film, and Music categories. I was lucky to get onboard, as the boat quickly reached capacity. I had only just made my way to the upper deck when I was approached by one of the morning’s performers, electronic musician Ryan Vail. I recognised him from his press photos and felt a momentary panic, worried that I would be expected to say something intelligent about electronic music and drawing a complete blank. Fortunately, Vail was knowledgeable enough for both of us, and he kept the conversation afloat until the official festivities began. The morning’s distinguished emcees included our friends Mark Gordon of Generator NI and Belfast city Alderman Guy Spence (pictured above), as well as Help Musicians UK CEO Richard Robinson. All three were cordial but brief in their remarks, wanting, like the rest of us, to get straight to the music performances. Vail took the stage, such as it was, first. Balancing his sensitive electronic equipment on the gently rocking riverboat was something of a challenge, but Vail managed it beautifully, setting a soft and mellow sonic atmosphere for the rest of the show. Alt-rocker Jealous of the Birds (pictured in header above) returned to Austin this year after a successful debut at SXSW 2016, this time with her full band accompanying her. For this brief semi-acoustic riverboat set, she was joined only by keyboard player, Hannah McConnell who also provided lovely backing vocals. I found myself whistling along to the now familiar ‘Goji Berry Sunset’ and hanging intently on the literary-leaning lyrics of ‘Tonight I Feel Like Kafka’. You can check out another SXSW 2017 performance of both tracks, courtesy of NPR, right here. Final performer Ciaran Lavery opened with an a capella take on ‘Let Bad In’ that had me in tears before he had even completed the full song, which made it a bit difficult to take photos. He acknowledged that his songs aren’t exactly upbeat “dance numbers”, but his richly-textured vocals and stark acoustic arrangements felt pleasantly warm and inviting in the early afternoon Texas sunshine. After the boat party was complete, I took a few minutes to sit down with the three featured artists for this impromptu interview, then I headed quickly back downtown for another interview with a band from the Republic of Ireland, Dublin’s Picture This. I was few minutes late to reach them, but fortunately they were gracious enough to wait, and band members Jimmy Rainsford and Ryan Hennessy gave this fascinating introductory soundbite. They exuded confidence and swagger, which immediately struck me as unusual, but in a positive way, very different from the self-deprecating humility of so many artists I meet. I wouldn’t have the chance to hear Picture This play live until the Thursday afternoon of SXSW, but needless to say, my curiosity was piqued. From there, it was back to the Radisson for me, where I had arranged an interview with Reading quartet Sundara Karma. They were fresh on the SXSW scene, having only arrived in Austin hours before, but they were chomping at the bit to immerse themselves in the experience. In contrast to Picture This, Sundara Karma seemed genuinely unaffected by the hype surrounding their SXSW appearance. Click here to listen back to my poolside chat with band members Oscar Pollock and Haydn Evans. Interviews complete for the afternoon, my next stop was at the Convention Center Next Stage, where I met Mary to catch Irish singer/songwriter A.S. Fanning. Later in the week, (in this interview) Fanning would describe the Convention Center vibe as more like a lecture hall than a proper gig, and I have to agree with his sentiment. The large stage and open seating area was almost too spacious for Fanning’s dark, intimate songwriting, but his captivating lyrics and resonant baritone vocals very quickly minimised the emotional distance between himself and his audience. Keep following TGTF’s continuing coverage of SXSW 2017 in the coming days for more on all of the excellent artists featured here: Ryan Vail on the grand piano at St. David’s Bethell Hall, A.S. Fanning and Picture This at Thursday’s Full Irish Breakfast, Ciaran Lavery at the Output Belfast day show, Sundara Karma at Stubb’s BBQ, and Jealous of the Birds on Saturday’s Music for Listeners showcase at El Sapo.